Find out the latest things to do from all around the state of Colorado. 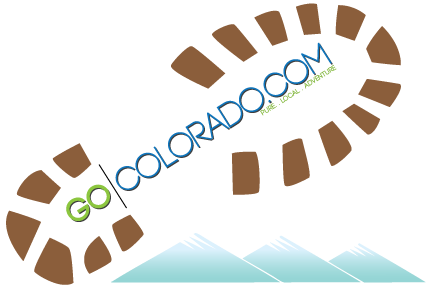 Whether you are traveling to Colorado or a local GoColorado.com has something for everyone. If you love travel and adventure you will love this website. Colorado is home of the Rockies, where the summer fun thrives! Reaching out to locals and tourists alike, this online resource has the information travelers need when looking for places to visit in Colorado. GoColorado.com will guide visitors through all of the reasons why Colorado can be classified as beautiful, majestic, rustic, fun and so much more. Elitch Gardens Theme Park - full of family fun for the summer. With roller coasters, to a water park, visitors are sure to have a day full of laughs and excitement. Molly Brown House Museum – the ever famous Unsinkable Molly Brown who survived the sinking of the RMS Titanic brings excitement while embracing some history. Botanic Gardens - sure to please the eye with the awesome display in variety of plants, flowers and water. Of course outdoor enthusiasts won’t want to miss out on seeing one or several of the great Colorado state parks. The broad range of scenery attracts thousands of visitors every year. Visitors who are looking to sit by a quiet, calming still lake, with beautiful mountain reflections, be sure to visit Emerald Lake in Rocky Mountain State Park. Take a trip with a whitewater rafting company to explore the roaring rivers and awe inspiring scenery of a state park. How about sand dunes? Yes Colorado have those too! Go on up through the Poudre Canyon and see what the talk is about with the dunes in Walden Colorado. New Belgium Brewery - home to the local micro brews. Biking – great bike trail that takes you through the city with solemn areas to take a rest along the way. Dining – fantastic local cuisine sure to please any pallet. Whether Travelers are looking for a city , a mountain, water or sand activities, GoColorado.com will help make any summer fun!